Having an expansive kitchen island is every foodie's dream come true. Often times though, square footage is limited (hello, shoebox apartments). 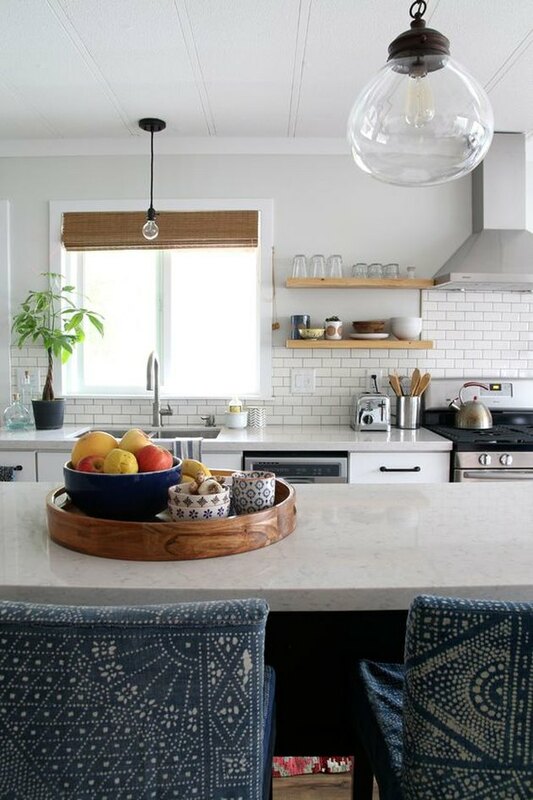 But that doesn't mean you can't turn an island into the central workhorse of your space — making a few strategic decisions can add storage, functionality, and style to your kitchen. 1. Go vertical with your storage. 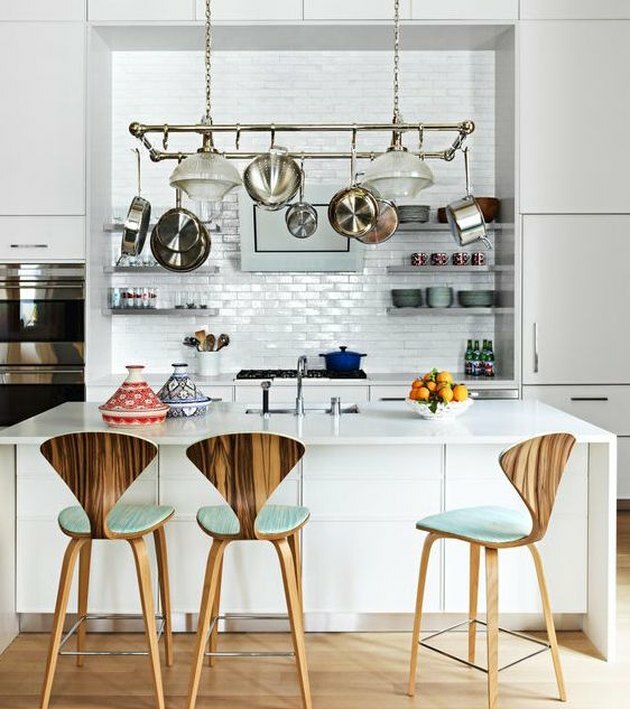 Keep your island tidy and maximize your prep space by choosing storage items of the vertical variety, like the three-tiered fruit bowl in this modern kitchen. By going up instead of having multiple bowls spread across the counter, you'll be able to fit double the produce in half the counter space. 2. Concentrate on dual-purpose items. When you're limited on space, items that serve a dual-purpose are the ones to look for. 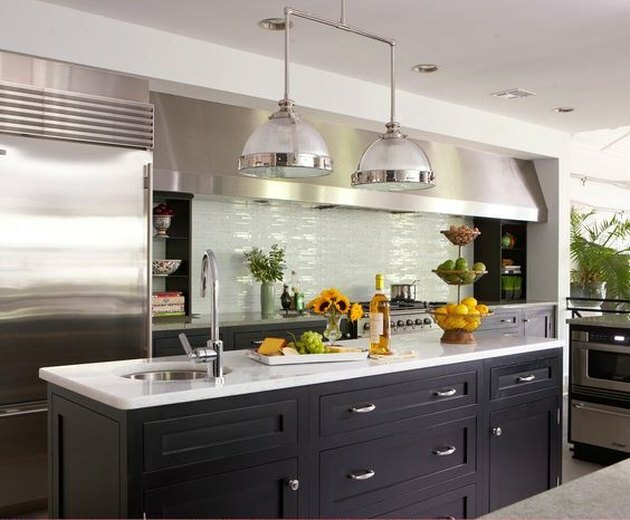 The light fixture in this bright, open kitchen also acts as the room's pot storage, freeing up a valuable cabinet. 3. Double up on your drawer space. If your island has drawers and you're already dealing with limited storage in your kitchen, consider installing tiered cutlery drawers that will give you twice the space. 4. Go slim with seating. Make the most of your kitchen island by selecting seating that adequately fits the island's measurements. 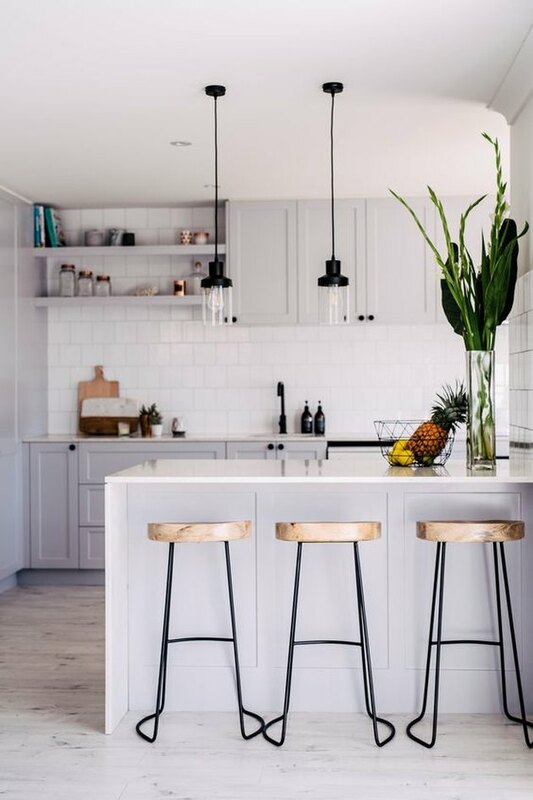 Stick with slim armless/backless barstools, like the ones in this clean kitchen, and your island will instantly feel bigger since you'll be able to squeeze in an extra seat. 5. Consider adding a towel rack to the side of your island. Think of the sides of your island as just another wall in the kitchen ready to be put to work. 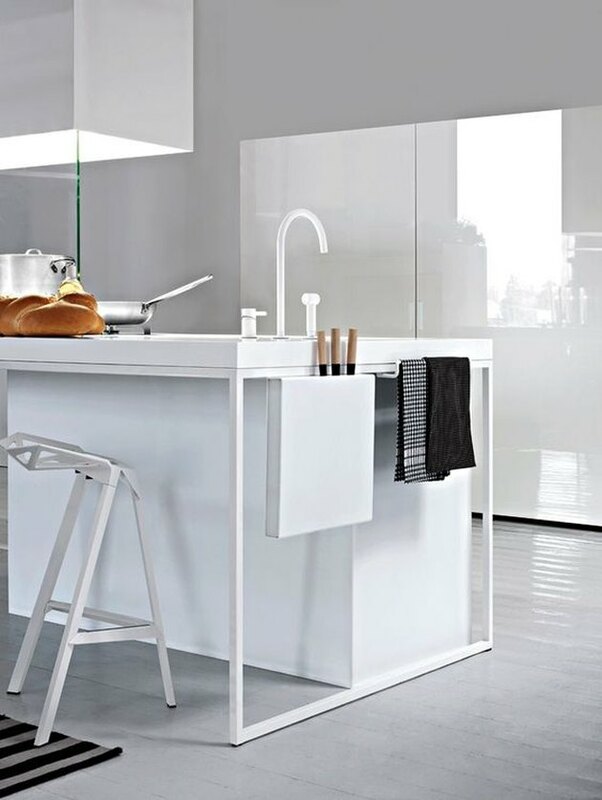 Add a towel bar and hooks to one end, as seen in this modern industrial kitchen, to store things like dishtowels, aprons, and cutting boards. You'll gain extra inches and streamline your cooking process since you'll always know exactly where every item is. 6. 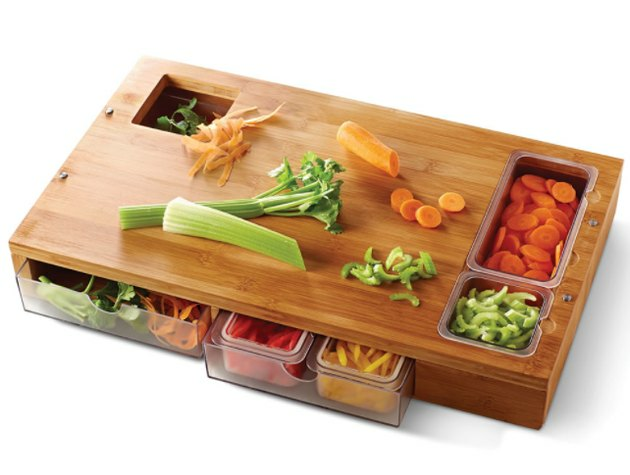 You can also use the sides of your island for utensil storage. 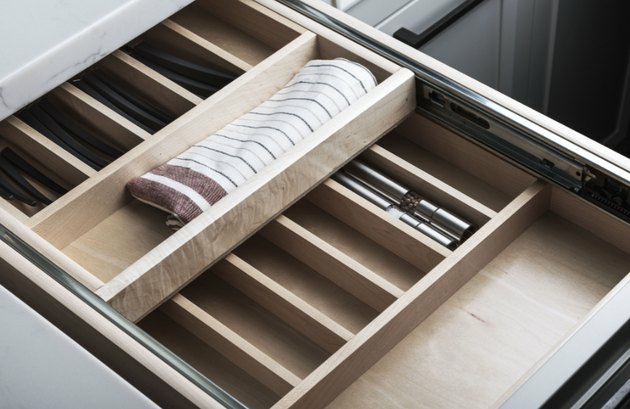 Look for slim magnetic, adhesive, or attachable fixtures that will allow you to store things like knives, utensils, and other cooking accessories. 7. Hang as much as possible. 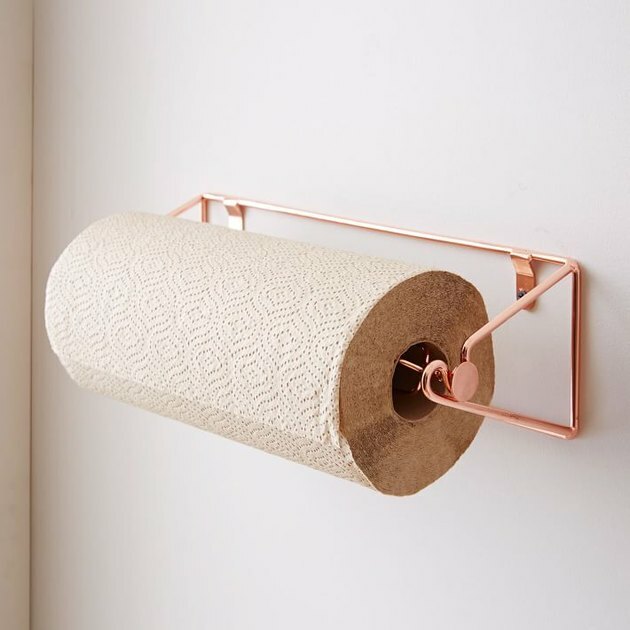 Besides adding to the sides of your island, this copper wall-mounted paper towel rack from West Elm ( $24 ) will get one more thing off the counter while adding a chic metallic touch. 8. Wheels add options and mobility. If your kitchen is too narrow to house a permanent island but you still crave the extra surface area, invest in a rolling island that you can simply push aside when not in use. 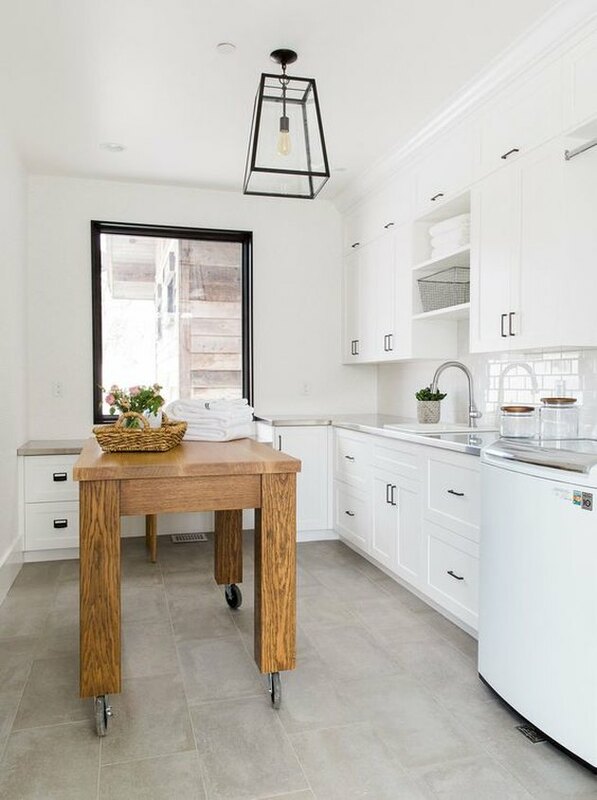 The natural wood island in this otherwise minimalist kitchen provides ample work space while still acting as extra storage when moved back against the wall. 9. Look for items that save space while you cook. While pricey ( $199.95 ), this sous chef station from Hammacher Schlemmer eliminates the problem of having multiple bowls/plates of food on your counter as you prep a meal. Plus, when it's not in use, those drawers could also be used to store extra small objects. 10. Swap out fresh flowers for small potted herbs. No room is complete without a plant, but instead of filling your island with a bouquet of flowers, opt for a fresh herb display you can actually use instead. 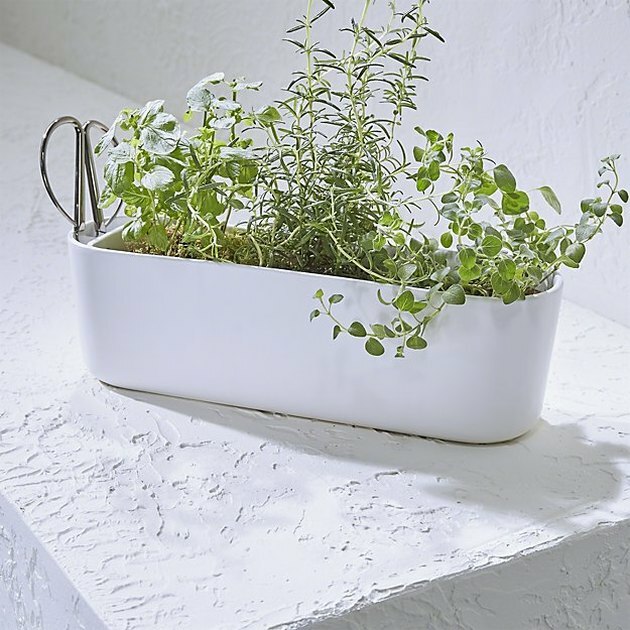 This triple herb planter from Crate and Barrel ( $29.95 ) includes a pair of slim silver scissors so you can snip a piece of basil or cilantro anytime a recipe calls for it. 11. A tray is a must. When you're working with an island that is less-than-grandiose-in-size, you need to be able to clear the counter quickly when it's time to start cooking. 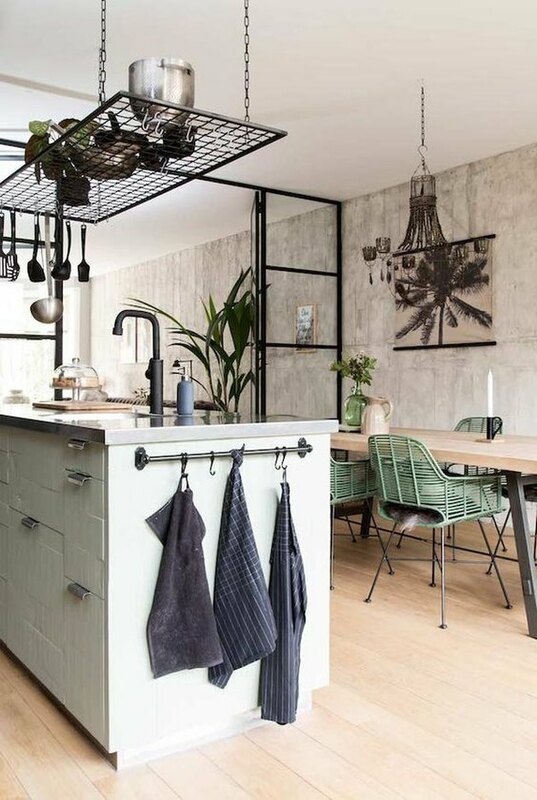 The wooden tray in this cool-toned kitchen is large enough to fit everything on it at once so you can easily move it out of the way. Plus, it's attractive enough to use as a serving platter for your next dinner party. 12. Ditch the spice rack and use a multi-purpose container. If you find yourself always reaching for the same spices every time you cook, ditch the multiple spice jars that are cluttering up your kitchen island. 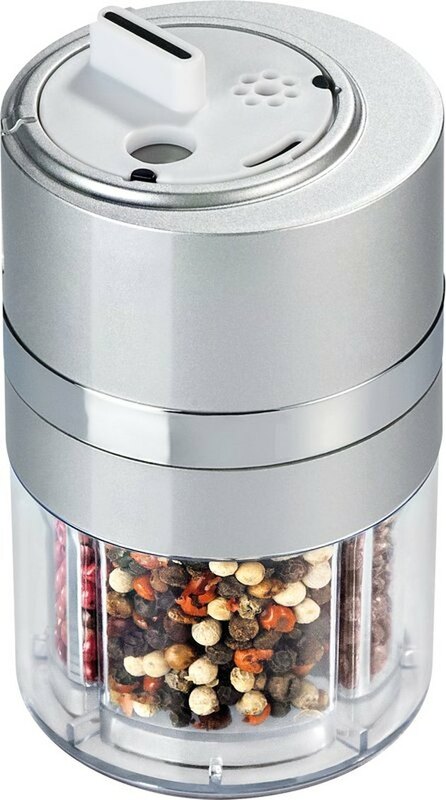 This dial-a-spice container from Wayfair ( $19.65 ) will accommodate up to four spices and the stainless steel finish will blend right in with your modern design.